Team JE Dunn sponsored and ran in the YMCA Red Flannel Run. 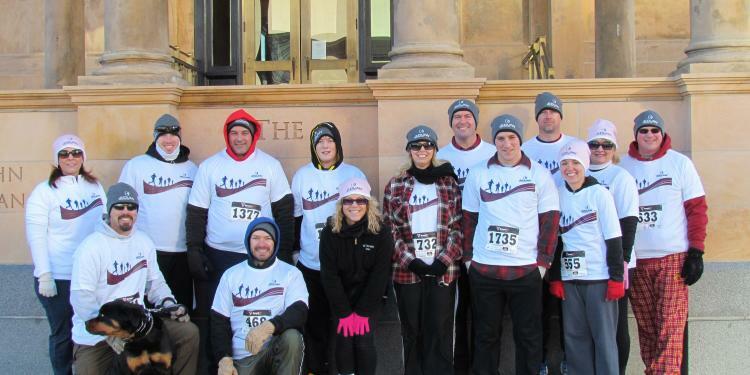 Not only was JE Dunn a gold level sponsor of the race, but we also had a team ready and willing to run the YMCA’s Red Flannel Run that took place in February in Des Moines. It was a mere 15 degrees the day of the event, so the team bundled up and hit the pavement in red flannel gear.